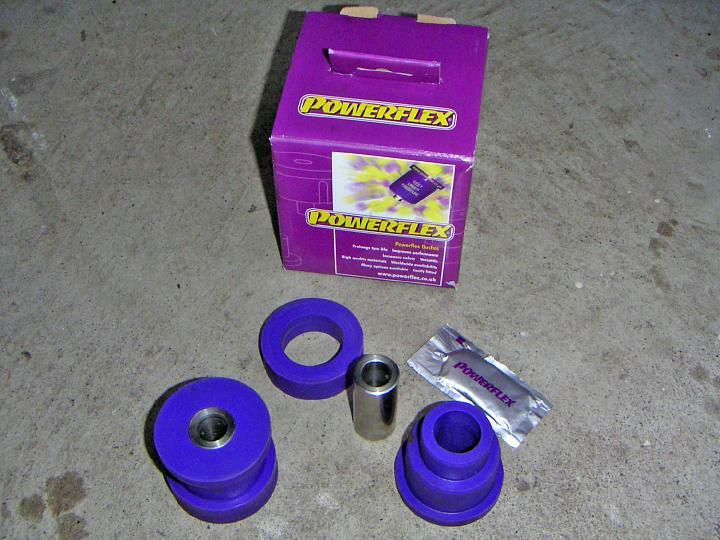 The Powerflex bushings are a solid two-piece design, and they are worth your attention for the ease of installation alone. Stanchion arm bushing replacement on a 1996 Saab 900SE turbo. The old worn out bushings are being replaced with upgraded polyurethane bushings made by Powerflex. It is not totally necessary to pull the driveshaft or disconnect the control arms. You can even deal with the bushings right on the car, but the room would be rather tight.